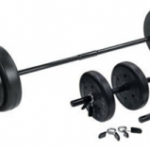 Nowadays the fitness equipment market is clustered with many new products and it might be confusing for some people to pick out from them the best barbell or weight set that fits their specific need. Though, even in that there is a huge risk that will the product deliver the same result as its expensive price. Though, investment on fitness equipment is done by those who want to improve their physical life and achieve their fitness goals. To fulfill that need,XMark fitness only brand to be fully trusted for finding a high quality gym equipment. Having amazing quality, the XMark fitness gives every reason to make the person believe tobe fully satisfied with the product. The equipment is constructed with extensive details. XMark fitness not only produces high quality equipment with extensive features, but they are also responsible of delivering superior customer services by being very responsive. They are very responsible towards customers need, queries and meetings. Thus, enhancing your fitness experience to a new level. The equipment I will be taking for today is the Lumberjack 7’ Olympic bar by XMark Fitness. This bar has a weight of 19.5 kg and can bear weight up to 700 pounds. The bar is constructed with alloy steel and its sleeves are made of hard chrome. The coating on the shaft is done with black manganese phosphate. The sleeves of the bar consist of normal brass bushings along with double snap ring system. To meet the international standard, the bar consists of dual specifications of IPF and IWF marking with moderate depth knurl and no center knurl. The length of the barbell is seven foot while the diameter is 28mm which is also standardized. 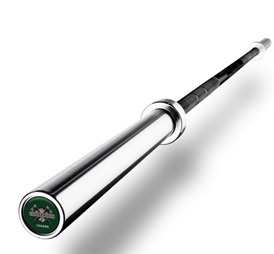 The high quality XMark Lumberjack Olympic bar is perfect for CrossFit, powerlifting and Olympic weight training. The bar shows greater elasticity and strength which makes it ideal for cleans, squats, bench press, deadlifts, snatches etc. 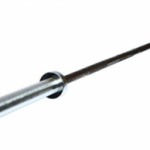 The shaft of the bar is made with superior quality that increases the durability of the bar. Having a black manganese phosphate coating, the Lumberjack bar prevents rust and corrosion better than the black oxide coated bar. 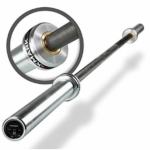 Having a wet look and feel, the barbell consists of moderate knurling having dual specification IPF and IWF marks. When knurling and coating are combined, the bar gives a strong, firm hold which helps to grip the bar very tight. The XMark Lumberjack Olympic barbell has a tensile strength of 180,000 PSI which is an ideal and standard on most of the weight lifting barbells. The capability of the bar to withstand weight is up to 700 pounds which I think is pretty huge for a 19.5 kg barbell. The bar is tested with every aspect to handle that much of weight without any bend or break. Though, with such maximum weight this bar is pretty much recommended for beginners because they will be slowly incrementing the weight while focusing on movement and formation of the exercise more. The sleeves are constructed with chrome and spin comfortably on self-lubricating brass alloy bushing and are protected using double snap rings. Chrome is said to be one of the best materialsfor enhancing barbells durability, and to keep them in a new and fresh state by preventing rust and corrosion. Chrome also has low oxidation rate that makes them suitable to use in humid region while the snap rings make sure that the sleeves never disjoint from the shaft. Black manganese phosphate is used to coat the high quality alloy steel shaft because this material is considered one of the best if compared with black zinc and black oxide. The reason is due to the fact that manganese phosphate provides a very hard and rigid coat that protects the bar from corrosion and abrasion. The Lumberjack barbell is constructed using brass bushings which give a quiet good spin, not better than needle bearing, but its spin is comparatively fine too. The knurling done on the barbell is pretty much moderate, which is not going to damage your hand and will lead you to handle the barbell with gloves or chalk. With its high quality construction and extensive features, it is further advised by XMark to properly maintain and clean the bar to give it a new fresh feel, every time you handle the bar. For that, it is recommended to light coat the bar with WD-40 along with three in one oil. Constructed with double snap ring and superior quality alloy steel, XMark’s Lumberjack provides extensive working for CrossFit, powerlifting and Olympic weight training. 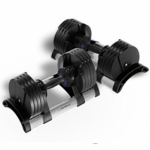 XMark fitness is a renowned brand and never compromises on products quality and durability. The bar has a weight of 19.5kg and can handle weight up to 700 pounds. 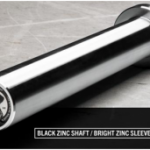 The material used on the shaft is alloy steel while the sleeves are made of hard chrome. The shaft is coated with black manganese phosphate. Consists of brass bushing with double snap ring technology. Moderate knurling is done on the barbell with Dual specification according to IPF and IWF standards. The length of the bar is seven foot. The diameter of the bar is also standard, 28mm. 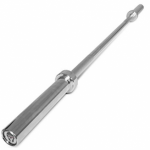 In my opinion, the Lumberjack 7′ Olympic Bar by XMark fitness, is a very standard and good quality barbell, which along with affordability provides the same benefits and specification as a higher priced barbell. My experience with XMark Lumberjack Olympic Barbell was very good. The barbell came atmy doorsteps within three days in a very hard boxpackaging which didn’t damage or scratch the barbell. After opening the box, I found that the design and look of the barbell was very eye warming, with that black manganese phosphate coat the barbell looked simply next level. I started working out with this barbell and I experienced that the brass bushings are providing a good spin while the whip is also muchmoderate. As the weight is increased, the bar became less whipper but the spin was very reliable and repetitive. The knurling marks provided a comfortable grip and it was very easy to adjust my hands on the shaft. I really liked the look of the barbell so I decided to properly maintain it to make it long lasting. By light coating with WD-40, I was able to maintain the shiny black design. 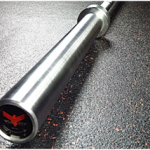 Overall, the Lumberjack 7’ Olympic Barbell by XMark Fitness is a very affordable barbell with simply all the specifications and benefits ofan expensive barbell. It is recommended for everyone to use. The bar comes with a good value of money. 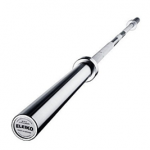 The bar can handle wear and tear of regular abuse due to heated alloy steel shaft. The brass bushing produces a smooth and reliable spin. Black manganese finish gives a very eye warming look and lets you handle the bar with ease. Chrome sleeves prevent the bar from rust and corrosion big time. Warranty is not given with the bar. The black manganese shaft needs maintenance regularly. Centre knurl isn’t provided, so squats can’t be properly done. Not really recommended for CrossFit due to brass bushings. The weight capacity of 700lbs. is pretty much less for professional weight lifters.